Paphos International Airport is a modern international airport, located 13 kilometers to the Southeast from the tourist center of Paphos, Kato Paphos. Paphos airport although small, but is the second largest airport of the country, after Larnaca international airport. 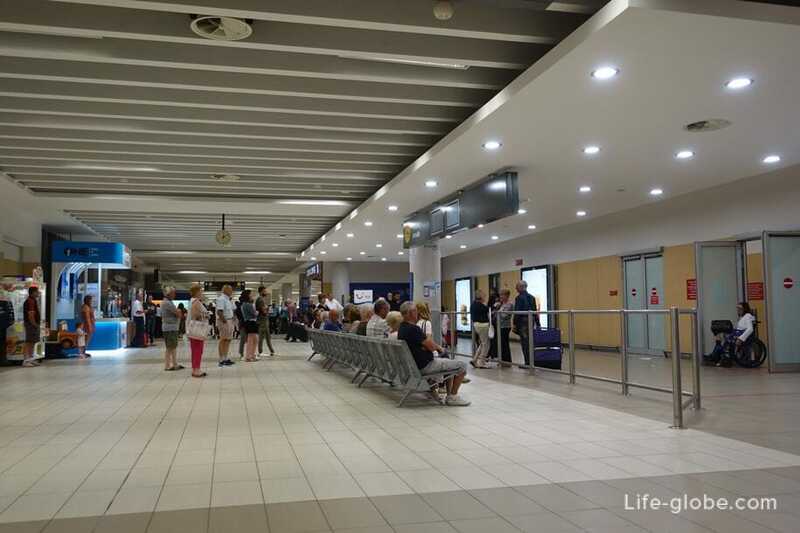 This airport is commonly used by tourists who want to spend their holiday in the Western part of Cyprus and provides access to such popular resorts as the Paphos, Coral Bay, Polis, Pissouri and Limassol. 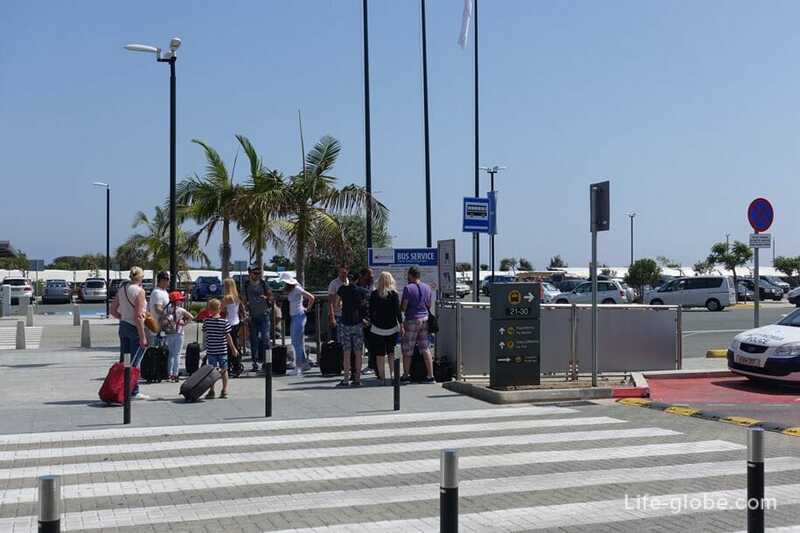 Paphos airport has a well-developed transport links to the city centre, so you can easily get from the airport to the centre or from the centre of Paphos to the airport. At the airport also have a taxi service, but the cost is higher than if you book in advance. The cost of a taxi to the airport starts from 35 Euro per car economy option for a maximum of 4 persons. - and, the main Karavella Bus Station, located in the heart of the upper town, 3.5 km from the coast. Most tourists use the station Harbour. Both the bus station Paphos airport connects public buses. From Paphos airport to the centre of Kato Paphos runs daily bus 612. The journey time is approximately 35 minutes. The bus route 612: Harbour (Main Station), Ledas, Alkminis, Poseidonos Av., Danaes Av., Aphrodite's Av., Spyrou Kyprianou Av., Gianni Kontou, Ippokratous, Makariou Av., Paphos-Limassol old Road, Paphos Airport. - from December to March: 10:35, 11:45, 12:55, 14:05, 15:15, 16:25, 17:35, 18:45, 19:55, 21:05. - from December to March: 10:00, 11:10, 12:20, 13:30, 14:40, 15:50, 17:00, 18:10, 19:20, 20:30. 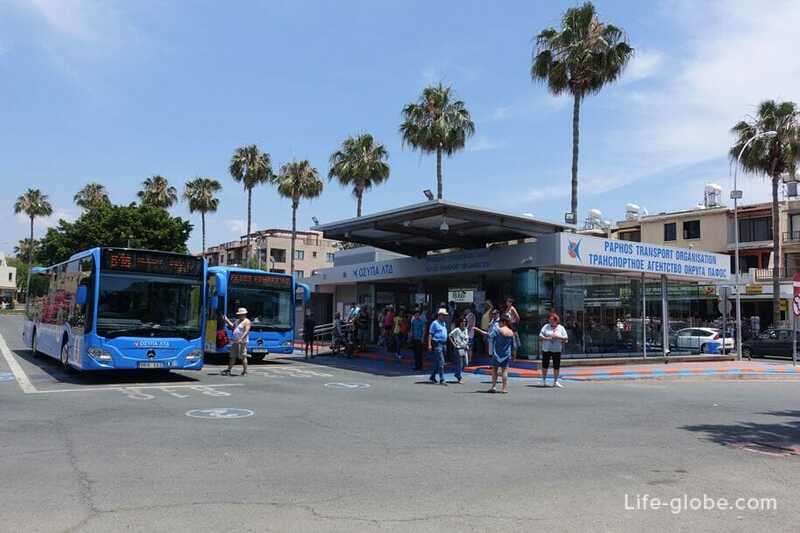 At the bus station, the Harbour operates an information center where you can find all the necessary information concerning public transport in Paphos. From Paphos airport to Paphos city centre runs daily bus 613. The bus route 613: Karavella (Main Station), Griva Digeni, Athens, Archiepiskopou Makariou (Geroskipou), Koloni, Acheleia, Timi, Pafos Airport. - from Paphos city centre (main station) to the airport: 07.25, 09:30, 11:00, 13:00, 16:00, 18.30. The fare is € 1.50. After 21:00 cost night ticket is € 2.50. Luggage and tax included in the ticket price. - a year is € 400,00. Card of the day is available from the bus drivers, all other types of tickets are available at the information offices of the bus stations.